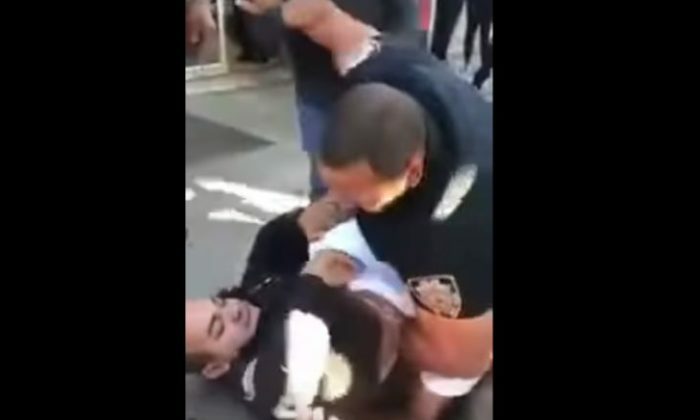 "This guy has his hands around an officer’s neck"
A video that surfaced earlier this month shows an NYPD officer punching a teen suspect who was accused of trying to steal a bicycle. The NYPD’s internal affairs division was investigating the incident after it went viral, CBS reported. 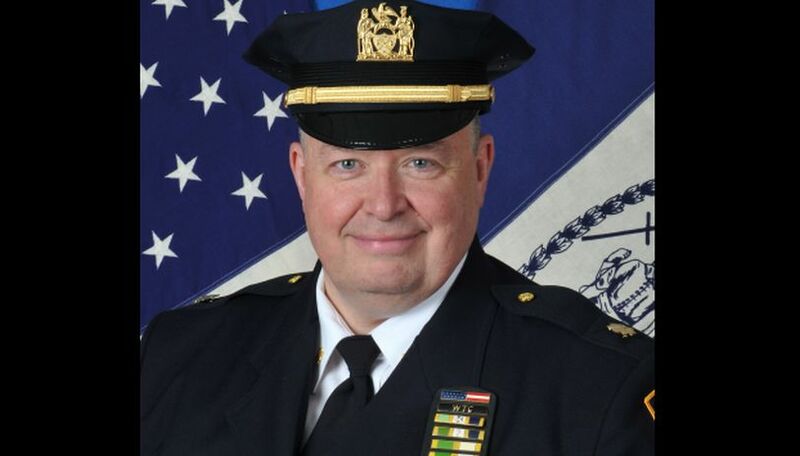 But now, Deputy Inspector Terence O’Toole, commanding officer of the Bronx’s 50th Precinct, responded to a press inquiry about the video. “You saw police work in action,” O’Toole said, according to the Riverdale Press’s reporting this week. In the clip, one officer can be seen pinned down by Alfred Burns, 16, who was being punched in the head by another officer on West 225th Street in Marble Hill at around 9 a.m. on Oct. 6. Some claimed that the officer was using excessive force. O’Toole said the incident doesn’t show the altercation that led to the arrest. As a crowd gathered, a spectator started filming the scene. Burns released his hand from the unnamed officer’s neck and the other officer started raining down punches on the teen. In under 1 1/2 minutes, the officer threw 13 punches at Burns before a third officer handcuffed the teen. The inspector said that none of the officers involved were placed on leave. O’Toole explained the situation further. “He’s a scourge on the Bronx as it is at 16 years old,” O’Toole said of the suspect. “This guy has his hands around an officer’s neck. Last time I checked, that is pretty dangerous. And he admits he stole the bike,” he said. And the voice in the clip? O’Toole says that it was Burns’ girlfriend. “The voice that is screaming the most is his girlfriend, who showed up here and she may be getting arrested, too,” the inspector added. CBS New York reported that Burns is suspected in a series of armed robberies and attempted robberies since last summer. He was arrested on charges of assault and resisting arrest.